Waterford FC welcome Premier Division champions Dundalk to the RSC this Friday with the race heating up for 3rd position. 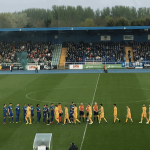 The Blues secured at least a top 4 finish and a Europa League spot last week but are still in the hunt for 3rd place – level on points with Shamrock Rovers with three games remaining. 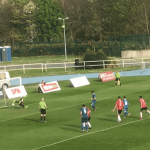 The Blues’ top 4 finish was secured last Friday after a 3-1 win away to Bohemians. Despite falling behind, goals from Sander Puri, Stanley Aborah and Noel Hunt meant a vital three points in front of a massive travelling support. Dundalk wrapped up the league title last Friday after a point at home to St Pat’s and the Blues will look forward to a tough challenge on Friday. 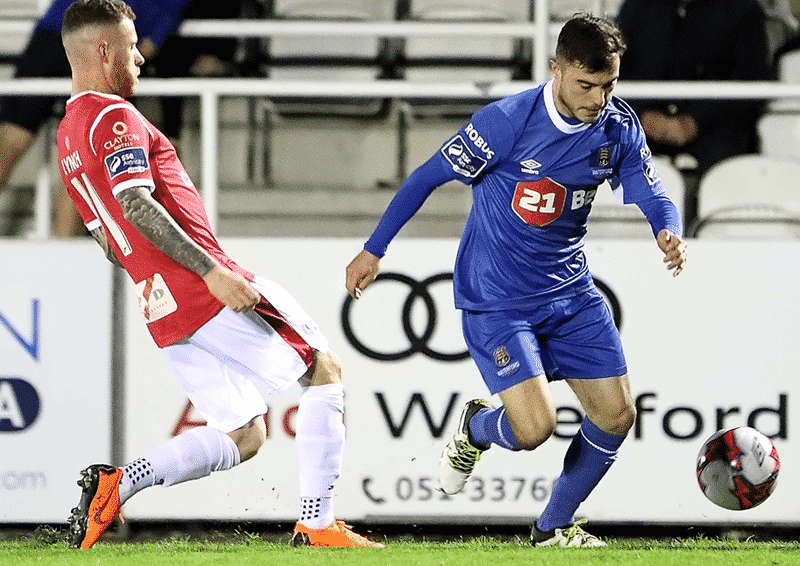 The sides have met three times this season already with the Blues winning the meeting between the sides in the RSC, while Dundalk picked up the points in the two matches in Oriel Park this season. “We’ve had some really close games against Dundalk this season, beating them in the RSC and playing out two very competitive games in Oriel Park, and I think they’re worthy League Champions. “People might think that since Dundalk have the league won and we’ve secured a top 4 that both teams will be easing off, but we’ve prepared as we always do and we’ll be ready to have a go at Dundalk on Friday. “It’s been a massive week for the club here. A big aim for this club was to get back to the glory days and make history for ourselves and to secure a Europa League spot for next season is a dream come true for so many people around this club including myself. TEAM NEWS: Alan Reynolds is sweating over the fitness of Cory Galvin, Stanley Aborah and Kenny Browne through illness while Sander Puri (international duty) and Noel Hunt (groin) are out.